It is in the city center Kayabaşı District, Kadıhanı Street. The Mansion, constructed by Enver Ekinci in 1938, belongs to people of the well known families remembered with ''Ağalar'' nickname. It is one of unique example of civil architectural managing to reach up to now. The mansion has been built by using rock, brick and wooden material. 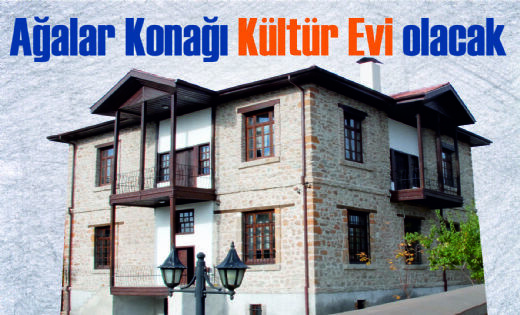 Agalar mansion was restored by Mayor of Kirsehir as a ''culture house'' where Kirsehir culture is kept alive and reflected in order to bear the cultural accumulation of the history of Kirsehir.